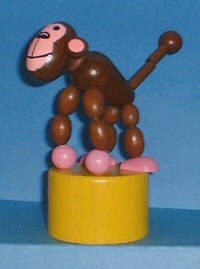 This large brown monkey has pink feet and face. He has a wonderful placid expression on his face. Great push action. Made in the Czech Republic.